I love the water and have been an aquafitness instructor/trainer for 25 years. While studying qigong I asked one of my teachers what he thought about practicing Qigong in the water. He told me that water is an excellent medium for Qigong because water magnifies the benefits of Qigong. Many years ago I went to an aquatic therapy conference in Washington D.C., while there I learned about Tai chi in the water and later became certified to teach Ai Chi. Ai Chi is a set of Tai chi movements designed for the water. Both Tai chi and Qigong are perfect for the water. When you watch someone do Qigong and Tai chi it looks like they are in the water. Water supports the slow flowing movements and helps the learner achieve success early. 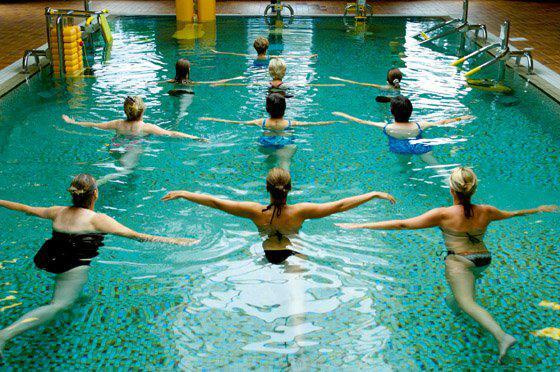 Fluid Zen is a combination of Ai Chi and many forms of Qigong done in a warm pool (90 degrees). 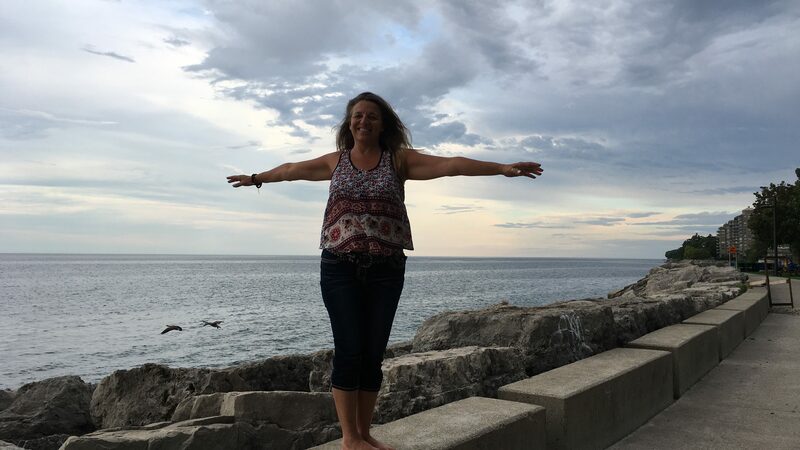 I begin and end each class with a few movements of Ai Chi, followed by several qigong poses from the different styles I have learned. 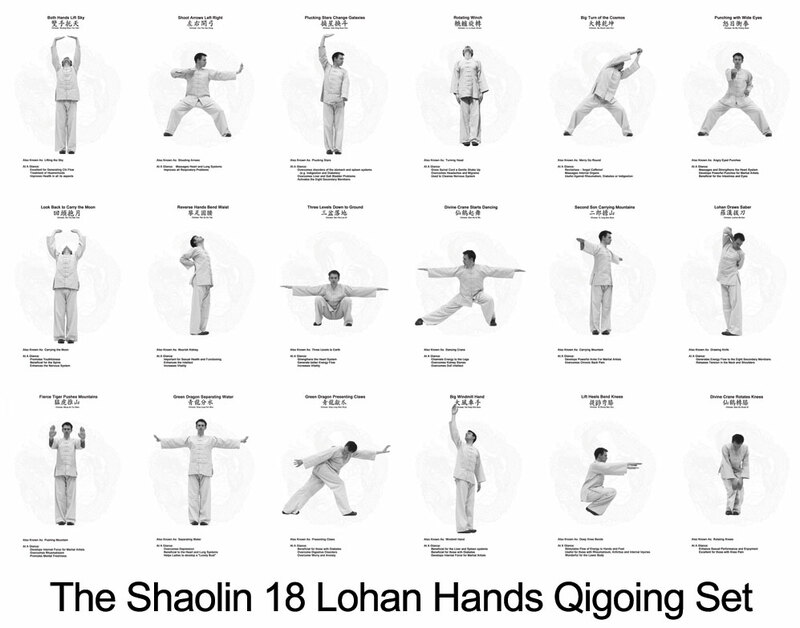 Currently, I incorporate the 18 Luohan hands and the five yin organ routine. In September 2018 I will be adding Shibashi. 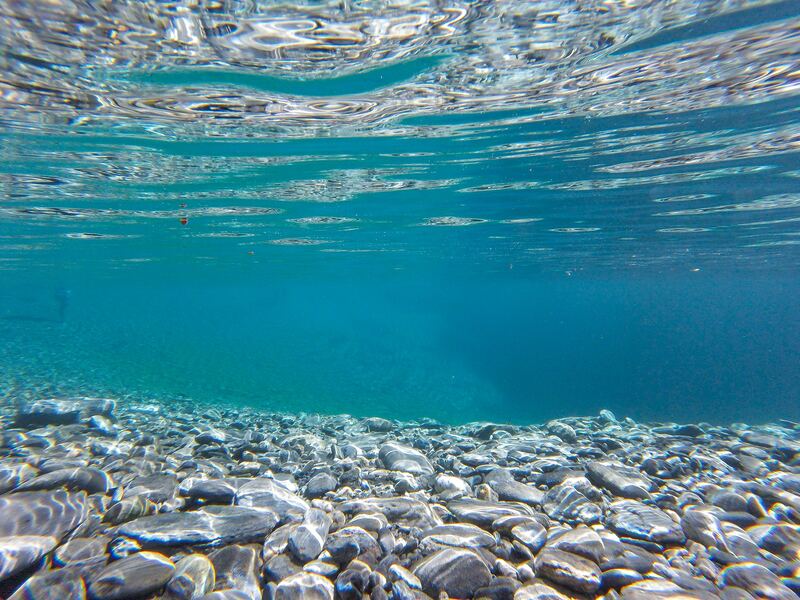 Shibashi is beautiful flowing form and will be perfect in the water! Practicing in the water allows for more freedom of movement. You can get more range of motion in the water, sink deeper into the poses and the warm water assists with relaxation. Come and try a class! I am so excited to be teaching at two pools in Oakville! Click here to see where you can experience Fluid Zen. Can you feel the Qi? or Energy? What are the 18 Luohan Hands? Shooting Arrows This movement is one of the most challenging to learn. It uses the one finger zen hand form, which is a special Shaolin technique that brings energy to the hands and index finger. The movement begins with the arms crossed in a horse stance, and the hands in the one finger zen position. You then alternate stepping to the side and shooting an arrow to the opposite side. This movement is best learned from a teacher and practiced many times. Practicing shooting arrows sends energy to the lung and heart meridians. It is useful for skin problems, respiratory issues, high blood pressure, depression, self confidence and memory issues. 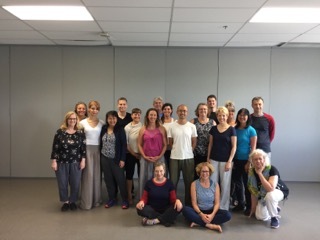 Qigong is amazing! It makes you feel so good and has lasting benefits. The more you do, the more benefits you receive. The forms I teach are for health. They are gentle and easy to do. Dancing Crane # 10 of the 18 Luohan Hands Qigong is dynamic meditation and is perfect for those that find it difficult to meditate. We practice qigong from a standing position, move slowly, gently, and with our eyes closed. Practicing this way forces the brain to focus on the movements, which in turn tricks the mind into going into a meditative state. With no distractions from the outside world, the mind naturally focuses on moving, flowing, breathing and effortlessly enters zen (a meditative state). Qigong has the power to improve you physically, balance your emotions, and affect you on a spiritual level. 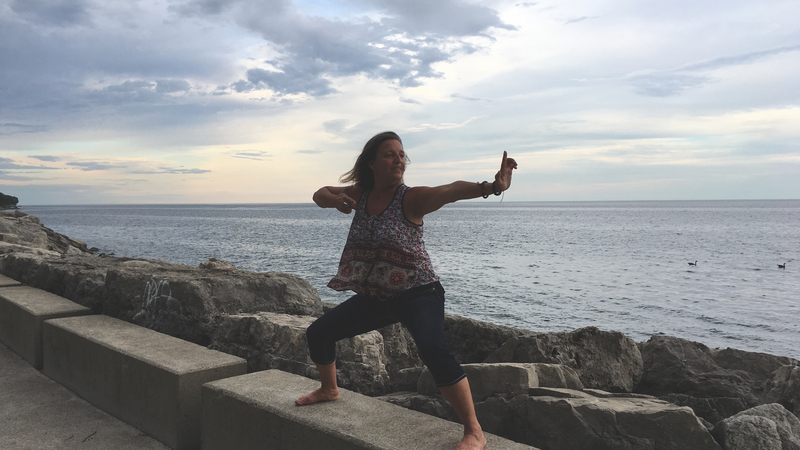 Physically, qigong will challenge your balance, improve your strength and endurance. Qigong helps to clear stagnant energy & emotional blocks, in fact this is one of the most beneficial aspects of the practice. According to Chinese medicine, an emotional block is how disease starts in the body. On a spiritual level, qigong allows you to access spirit and become your true self. Another benefit is experiencing a very relaxed state or zen. There is nothing like entering zen to improve your health. The more you do, the better you get at it and you can take this relaxed state with you everywhere. When the body is relaxed and the chatter stops in the mind, your body can heal. If you want to see some changes in any of these areas, try qigong!